Product #21558 | SKU W2552 00 C | 0.0 (no ratings yet) Thanks for your rating! 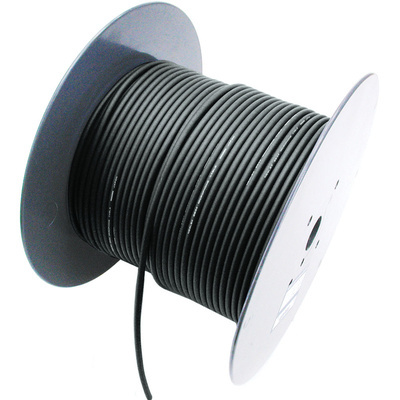 The Mogami W2552 Microphone Cable (Black, 328'/100 m) is a high performance low impedance balanced microphone cable. It is small in size and has a special rubber-like PVC jacket, which makes it very flexible and exhibits excellent resistance to rough handling and abrasion.